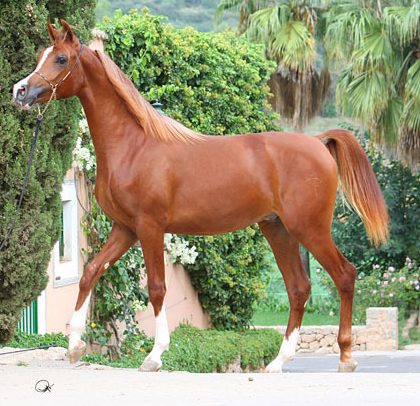 Unanimous Spanish National Champion Colt. The most exciting young colt to be campaigned in 2009. Already has over 15 mares booked. Standing at Jadem Arabians, Belgium.